Starting over after a loss requires a passage through the liberating power of grieving. Grief is a terrible and wonderful thing. It hurts like hell when it cuts very deep, but it releases us from the past and frees us to create a new life as a renewed, whole person. To get through the grieving process as quickly as possible I felt it all the way. I opened to all the pain, feeling it all consciously, until the pain melted away with my tears. As it melted away I found my energy freeing up for directing into creating my new life. Every loss we go through offers us wisdom for creating a new and improved life. We can look back at what we had to recognize changes we want up ahead. For instance, if the relationship you lost involved you with a critical person, the relationship you now want is with someone more supportive, tender and understanding. As I allowed my grief to do its work upon my emotions, I found myself able to put my attention on the future I wanted to experience instead of it being fixated on my loss. Grieving fully over my loss liberated my power to move on in joy. Moving on is a wonderful thing. It's like being reborn and starting out in life with infinite possibilities before you. Whatever your heart desires is possible. Before grieving has run its course, though, whatever we look forward to seems to pale in comparison with what we are losing. By allowing myself to grieve fully, the grief gradually dissipated sufficiently to permit rays of hope to stream into my heart once more. In the light of hope I placed my attention on my intention for the life I wanted to live without the one I was losing. It was pretty much what I had been working on creating prior to going through my loss, but now it involved me with someone new. While I was in the thick of loss I lost all interest in creating the future because all I wanted was what I couldn't have. As I free-fell into the darkness of my sorrow my heart shed its attachment to the past, releasing hope for a future brighter than the past I left behind. Grieving is hard, but withstanding its pummeling proves that you are stronger than it. It's the price we must pay for liberation from loss and realization of the open door to a better life. Grieving comes in waves. In the early stages of loss the waves of grief take you lower and they last longer. Gradually, by grieving fully, the waves pass sooner and they don't take you down as far. You can tell when a wave of grief has past when starting over feels like fun. It's like being a kid in a candy store. You can look in your heart for what your heart desires and trust that what you want is coming to you. We create our new life through the power of awareness. Awareness of what you want connects you with what you want. Thinking of yourself as cut off from what you want cuts you off from what you want, and that is the sort of negative thinking that grieving dissolves. As the darkness slowly lifts through grieving fully we find that we can �hang out� more and more in a peaceful state between the past and the future, living in the present. Over time the peace of the second stage gives way to the ability to look ahead with hope. You can see what you desire and trust that you can have it. If you attempt to move into creating too quickly, the darkness builds up like a wall and sends you back down into grieving. Self-awareness is the key for moving into starting over most quickly and easily. Pay attention to how you feel. When you feel drawn totally into the past, grieve fully. As you feel the pull of the past lessening, live in the present in peace. Try creating your life anew by thinking of what you want. If you feel a tug on your heart, go back into the present, or back into grieving if hanging out in between does not relieve you of that tug. Throughout each stage of starting over, monitor your feelings closely. The most difficult stage is the first, but you will find yourself feeling increasingly free for starting over by patiently trusting and accepting your necessary passage through the painful, but liberating power of grieving. 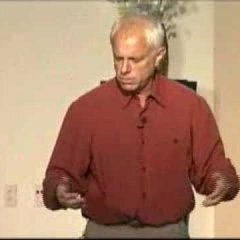 Inspire your conference, convention, work team, association, school and any other organization of hard working people with the enlightening wisdom of Bob Lancer, inspirational speaker and team building expert.